I carefully cut the 69 Corvette Racer from its beautiful card because it deserved to be free. 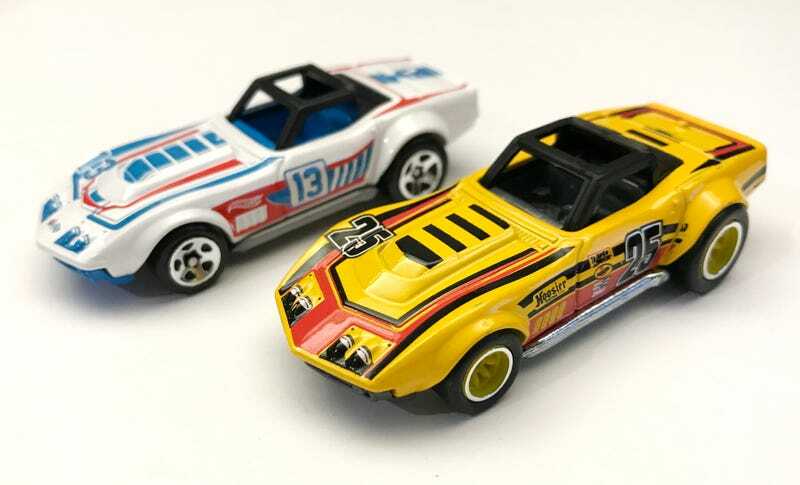 The tampo work is mostly excellent and the design looks like it was plucked from a 1970s SCCA media guide. As I wrote before about the mainline release, the cast is a good one and it’s even better with a metal base giving it some heft. However the axles seem to have too much upward room, causing the real riders to rub against the fenders and limiting rollability. Of course this isn’t going to be an orange track monster but that’s still a little disappointing for a premium cast. Hope everybody has a Happy New Year!